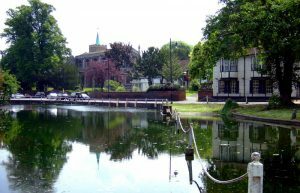 From the very first day it all began in 1914, Lanes School of Driving has become known as one of the most reputable driving schools in Carshalton. Our aim is to make it possible for all of our pupils to pass their driving test and we achieve this by tailoring our service around their needs. Our centre of excellence in driving instruction allows us to pass on our knowledge and this is why Lanes has an excellent reputation. Lanes is proud of the fact that it makes learning to drive accessible for all. To help our pupils pass their test we create a course that works to their strengths. Many pupils want to learn to drive as quickly as possible and our intensive driving course offers everything they need. Theory lessons are available as part of our practical lessons or as part of a special course. Lanes considers the safety of every pupil, even when they have passed. As part of our dedication to our pupils we offer additional services. Advanced Driving, Pass Plus, Motorway Driving and Parking Skills are courses that we offer and they can help to improve confidence and safety. We pride ourselves on our flexibility and because our pupils lead frantic lives we try to fit around it. Lessons can be arranged for a time that works for our pupils and as regularly as they wish, giving them complete control. Our instructors work closely with their pupils. This helps to build a relationship that maximises the learning potential of each pupil. This means they benefit from each and every lesson. Lanes believe in having an excellent fleet of cars. Pupils can start their lessons from a location that suits them and they can be dropped off wherever they wish. All we want to do is make it as easy as possible for them to learn to drive. At Lanes we have more than 40 driving instructors which means finding an instructor is simple. Each instructor is dedicated and hard-working – their aim is to help pupils pass with flying colours. They have experience of working with all ages and this helps our pupils to feel relaxed and comfortable. Every single Lanes instructor is registered with the DSA and each one is an Approved Driving Instructor. We guarantee that our pupils will be learning from the best. Our instructors bring the best out of their pupils so they become safe and assured drivers. All pupils remain with the same instructor for the duration of their lessons. This enables both the pupil and the instructor to become familiar with each other which enhances every lesson. Learning to drive should be an experience that is enjoyed by all. Unfortunately, for some it can be an anxious time. For many female pupils, having the option of choosing a female instructor can really make a difference to their confidence and self-belief. At Lanes we have a selection of female instructors and all are highly qualified. It is common for pupils to opt to learn to drive in an automatic car and this is mainly because they believe it to be easier. To facilitate this requirement, Lanes offers automatic driving lessons with our experienced instructors. Lanes School of Driving offers our pupils the ability to learn to drive in a friendly and professional environment. To find out more call us today on 020 8166 5678 or email us via our contact page.